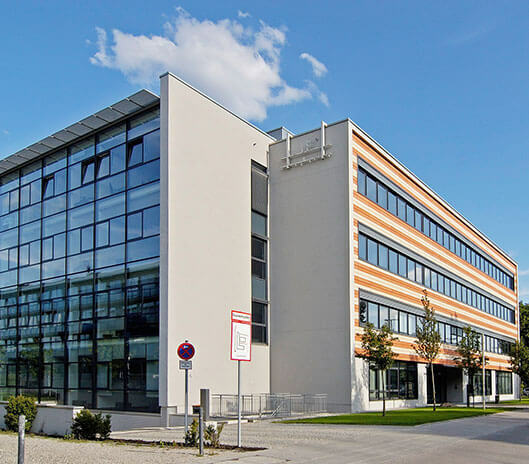 At the Agendis Business Centers, which are located at top sites in Munich, you can rent fully equipped individual, team and large open space offices for a couple of hours, for a few days or on a permanent basis - all offices with high-quality furniture and prestigious entrance areas. 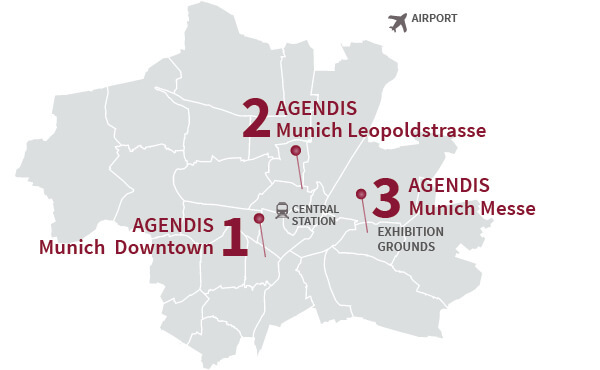 Three locations in Munich provide perfect transport connection that takes you downtown or to the exhibition center within a few minutes. With a prestigious business address and a virtual office you will always be available, even if you are not on site - telephone service and further service options on request. For your meetings, seminars or trainings our modern business centers offer well-equipped meeting and conference rooms. We look forward to welcoming you soon at our offices! Fully and high-quality furnished office spaces - individual, team or large open space offices with modern facilities and flexible rental and service periods. Our all-in service offer ensures that you can focus on one specific subject: your business success. A prestigious office address for your company and the development of new markets. Realizable in the short term as company headquarters, branch or sales department - also in other German or European cities, including local telephone and fax number. A good business address in order to be visible, always available and to use an office or conference rooms on a daily basis, if required - including company name plate at the entrance. The Agendis team will handle your incoming mail and answer incoming phone calls for you. Prestigious, convenient conference and meeting rooms with high-quality, modern furniture at a central prestigious location, for meetings, seminars, trainings, customer meetings, and video conferences. 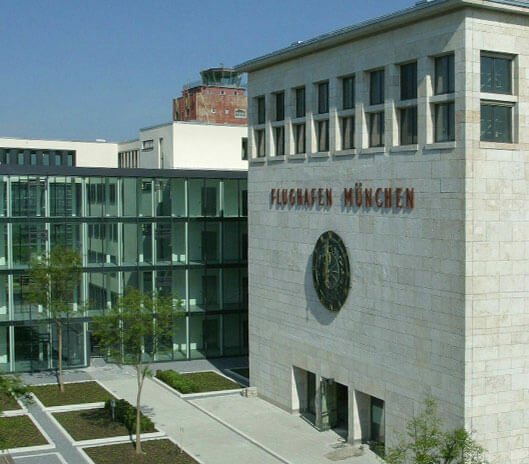 Equipped with state-of-the-art presentation technology and fast WLAN. 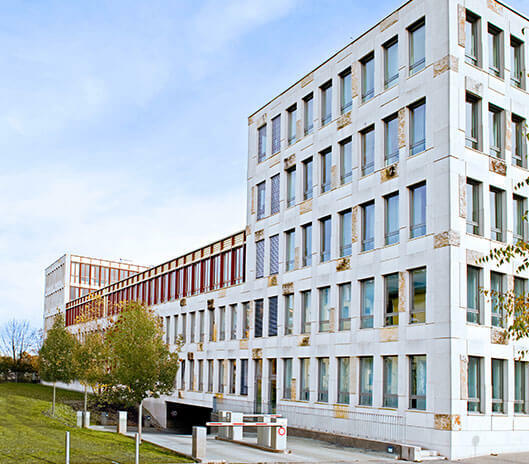 The Agendis Business Centers at seven locations in Frankfurt, Munich and Stuttgart are characterized by their prestigious location within renowned surroundings as well as by their perfect equipment. Our offices and services are tailored for the specific needs of entrepreneurs. Prestigious conference and meeting rooms as well as state-of-the-art IT and communication technology may be rented on an hourly or daily basis, e.g. for video conferences. Our comprehensive range of services including telephone service, multilingual secretariat and assistant services as well as the friendly welcome of your guests within our attractive reception area complete our range of supply. You will be able to focus fully on your core business. Agendis Business Centers offer the best conditions for an optimal contemporary business setting.